An inclusive society is a healthy environment where the potential of its members, especially those belonging to disadvantaged groups, is valorized, properly used and encouraged, by facilitating the access to all available resources, rights and services. HRS strategies focus on helping and counselling persons to become independent individuals, not dependent by others, through financial support and proactive involvement. The profit is continuously reinvested in social field, financing EU projects and the activity of “Access for All” NGO. WANT TO GET INVOLVED? MAKE A DIFFERENCE! tyle=”color: #339966;”>SOLIDARITY. ACTIVE INVOLVEMENT. TOLERANCE. DEVELOPMENT FOR EACH MEMBER OF THE SOCIETY. Established in 2009, “Access for All” is a non-governmental and non-profit organization that promotes and facilitates equal opportunities to education, training and free access to the labour market for persons belonging to disadvantaged categories. By all efforts, the dedicated team ensures continuity for two EU co-financed projects: “Access for All to an inclusive labour market” and “Closer to people through forms of social economy”. unrestricted access to labour market and professional inclusion. Since 2011, “Access for All” is certified as a legal Sheltered Enterprise for “Diversity and Access” and “Equitable art and commerce”. Persons with disabilities who are affiliated to the NGO manufacture artistic products and decorative elements using paper, wax, glass and many more materials, but also paintings and personalized objects. A full catalogue may be accessed here. In 2011, have founded three operational entities: “Research and Lobby Centre”, “Vocational Counselling Centre” and “Resources and Training Centre”. 2013 was a prolific year for “Access for All”. Six fundraising events were organized and a very impressive support was offered by some of the main companies in Romania, acting in various industries. Additionally, an enthusiastic team of volunteers came along and got involved in day to day activity. All workshops are focused on problem identification and solving, aiming to generate active involvement of all participants. Employing persons with disabilities is a true act of social responsibility. Moreover, legal system protects companies through governmental financial support if labour relations are based on undetermined contractual period and lasts for more than 2 years. HRS believes in people and acts as a responsible employer, constantly attracting new team members that belong to disadvantaged groups. Counselling programs regarding social inclusion and social economy. Helped by highly trained counsellors, persons that belong to disadvantaged groups may access development courses through which they become aware of knowledge level and abilities required for specific jobs. The next step is represented by constant support in exploring labour market opportunities and suitable professional training courses that they may access for proper integration. “Access for All” counsellors act to liaise employees and their employers belonging to disadvantaged categories along entire working process. 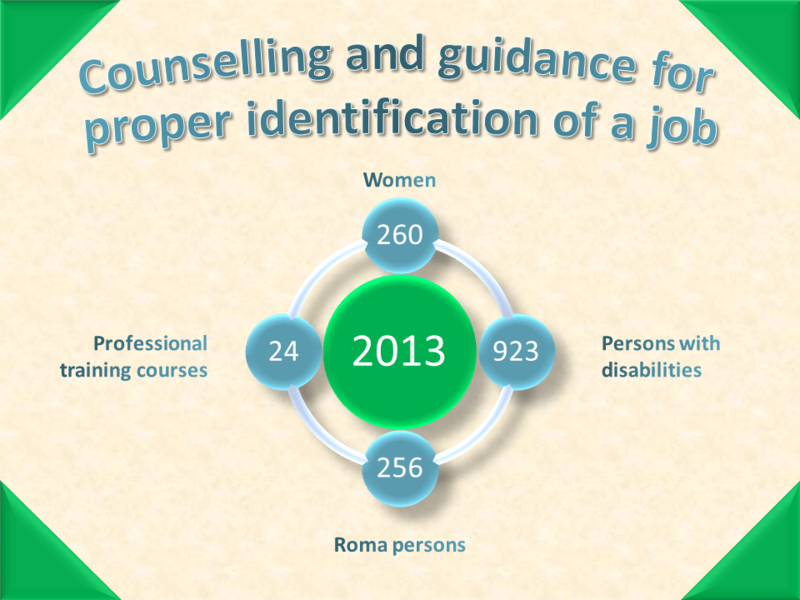 In 2013, “Access for All” achieved great results regarding counselling, vocational mentoring and professional inclusion by providing customized services. Same year, has participated at ONG Fest events, extended the team with more than 12 volunteers and implemented a sponsorship program, having NANE Foundation as main partner. 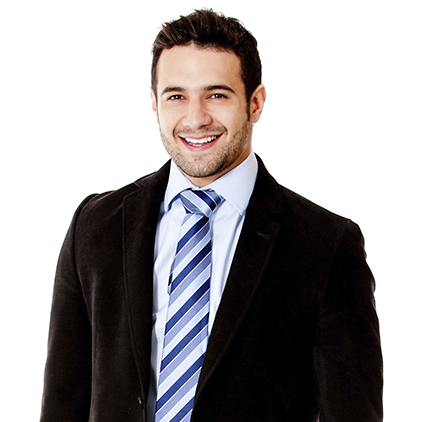 Outsource part of your activity by contracting services provided by persons with disabilities. This special project was conceived as an opportunity for children to learn, in a fun and informal environment, how to create artistic objects using various materials. Skills or knowledge were not an impediment because tutors with great experience conducted each workshop in a very accessible manner. More than 70 children from the Support Association of Physically Disabled Children (ASCHFER), “St Iustin” Association for Children with Diabetes, “TREBUIE” Organization for Children and Adults with Special Needs and the Romanian Association for Autism and ADHD Therapies have had the opportunity to spend the first day of school in a creative way and participate to three art therapy sessions held in Herastrau Park. The art workshops were conducted by Incubator 107 representatives and all children were anxious to manufacture bracelets using coloured threads and various accessories made of recycled paper, to paint small masks of joy, do Origami, Quilling and various drawings. Energy was the key factor of a series of games that were played of both children and grownups, because we never lose the kid inside. Every moment was a special one but the most impressive was considered the soap bubbles game followed by the surprisingly appearance of Baumax mascot. Children learned how to be responsible and to recycle in a creative and fun way but also, by the full involvement of “Access for All” Volunteers, have developed interpersonal relationships for future mutual assistance. We are grateful for the support offered by our partners: CORA, LS Travel Retail Romania (Inmedio), SonyaMod, HRS Group, Incubator 107, Baumax and Sun Plaza who proved to be a wonderful host. One of the main objectives of our organization is to establish the premises for the development of a society that will not bring into question aspects such as protection measures, support and opportunities generator initiatives as being exceptional situations, but as being part of everyday normality. HRS is a structure of social economy that promotes social inclusion of people with disabilities and supports the inclusion of those exposed to social exclusion. Access for All, Saint Nicholas for Miniclub Nane!